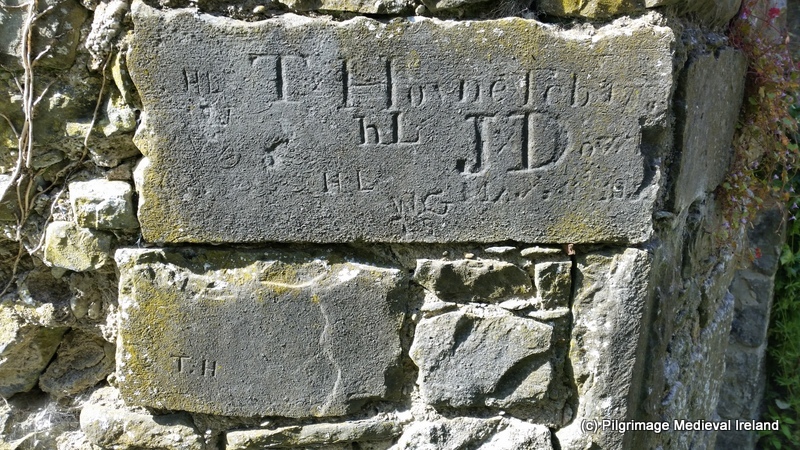 I was sorting through old photos and came across this one of graffiti dating to the 18th century on the wall of St Mary’s church in Kilkenny city. Most of the writing are initials HL MG JD but there is one name and date, T Hoyne Feb 1777. A second stone has the initials T.H. Part of a tomb in wall of St Mary’s cemetery. I am going to do some investigating to see if I can find out anything about T Hoyne and I will keep you posted on what I find. 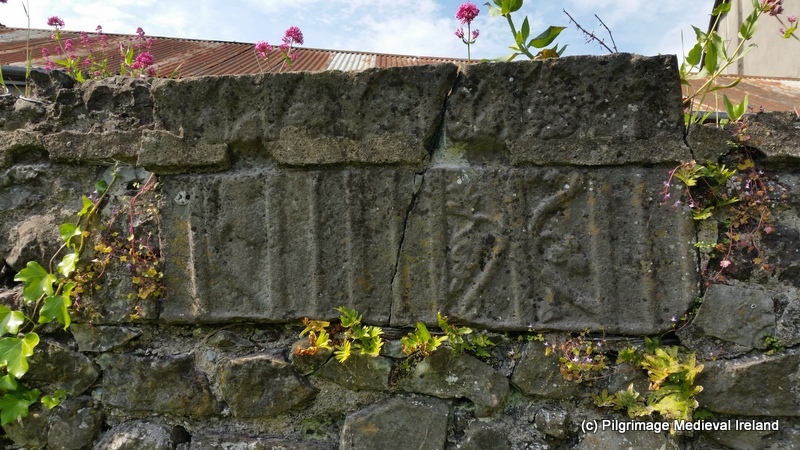 Another interesting feature in the graveyard wall is part of late medieval tomb. At present the site is off limits to the public as St Mary’s church is currently being restored and a team of archaeologists led by Cóilín Ó Drisceoil of Kilkenny Archaeology are currently excavating at St. Mary’s in advance of a new museum being constructed.